This type of agency will focus on doing business development for the principal company. The business development activity will be direct marketing, exhibitions, seminars, advertising campaigns and also include digital activities like e­mail and web based development activities. The agreement will cover the scope of the business development program and will have the agreed milestones and payment details. It will cover the interest of both the parties. A broker agency sits in between the principal company and the customer to sell the product. They act as selling agents of the product or service. 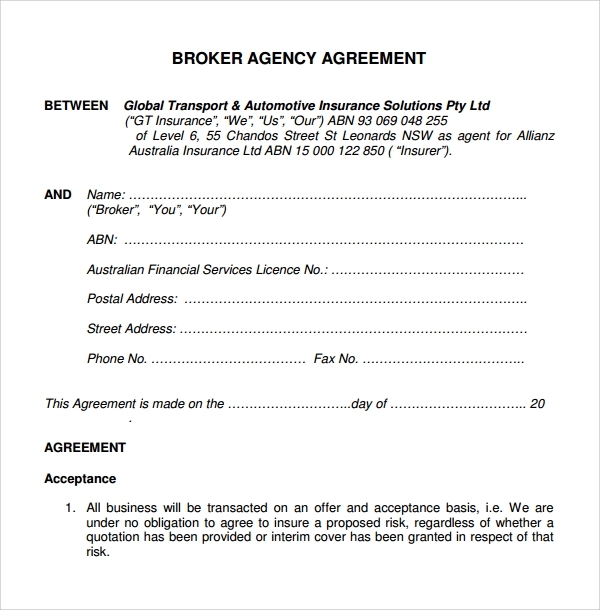 The broker agency agreement covers what the broker can sell, in which area or region and also what is the commission he makes based on the sales. 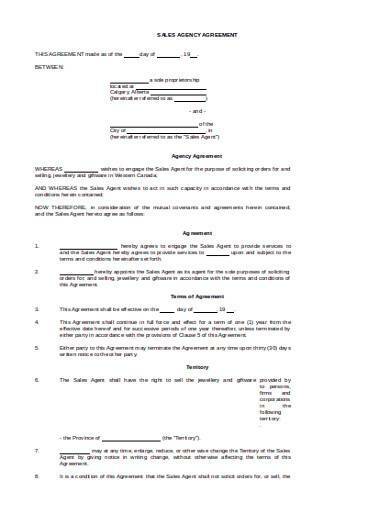 The template allows them to make a proper broker agency agreement. We all know that we need to pay our dues on our debt on time. If we fail to pay then there would be people following up for the payment. Collection agencies are appointed to collect the due recoverables from customers. 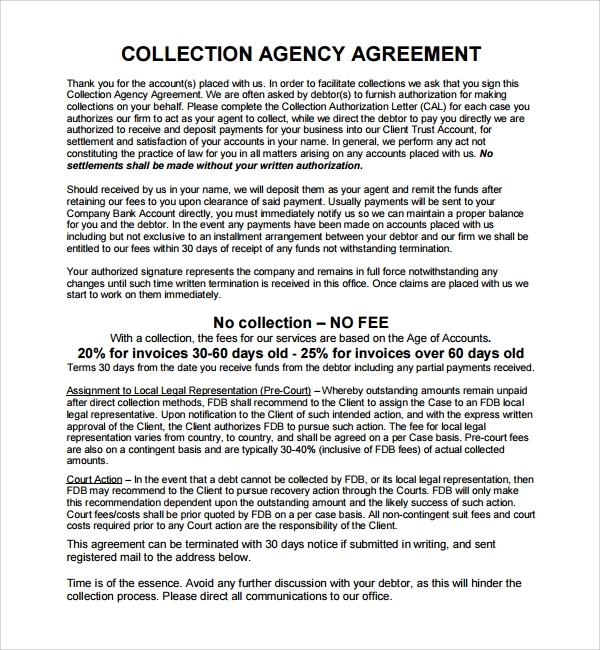 The collection agency business agreement is a legal bond between the agency and the company and giving rights for collection and also the commission for the same. The template will help in making a strong agreement between the parties. 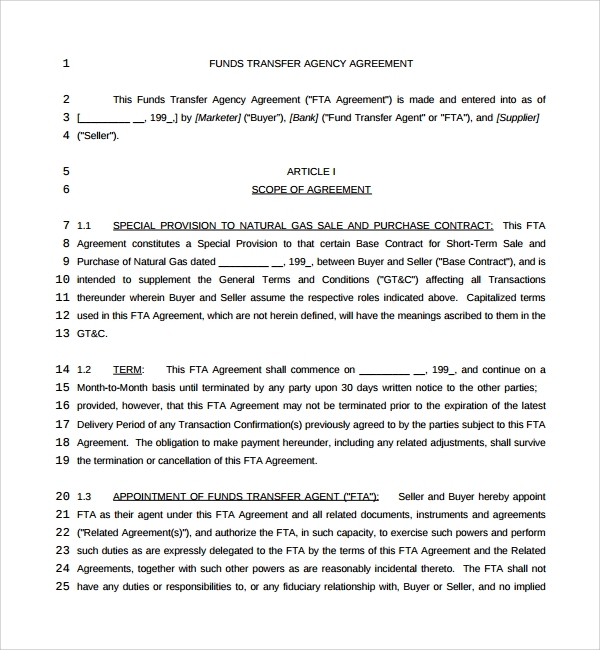 Business Transfer Agency Agreement is signed between a business who wants to transfer the business or certain parts to some other organization. The agreement template helps hem the shape the agreement in a manner which benefits both parties. 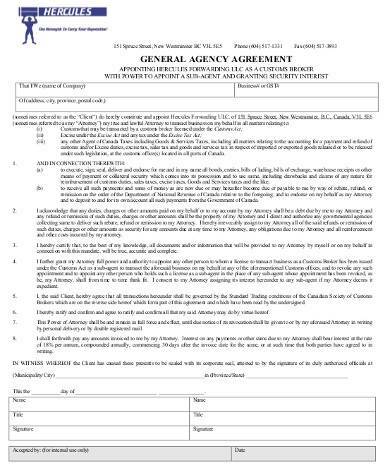 Business Agent Agreement formats are available on the Internet. One can download the same and modify the same for one’s use. 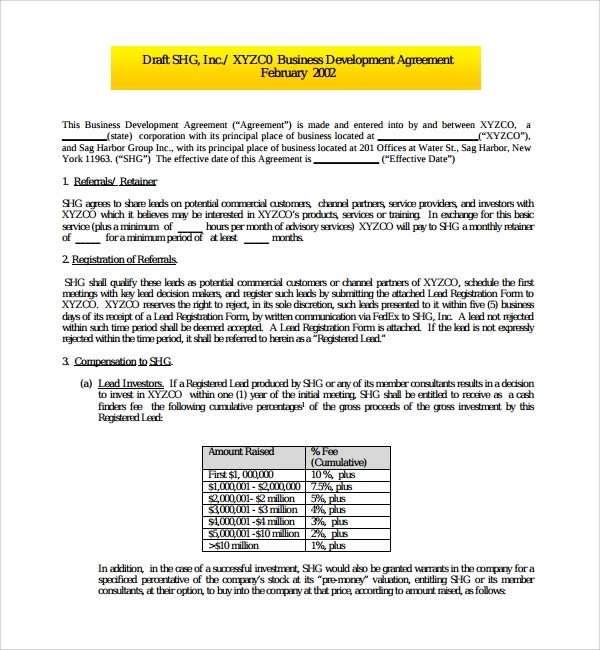 There are different types of the agreement and all types are available on the net. 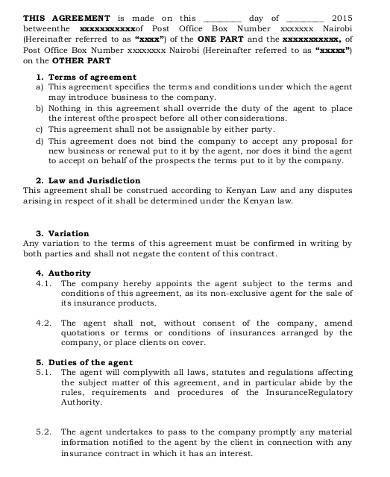 If we look at a business broker agency agreement it should be a contract signed between the two parties and mentioning in which jurisdiction the legal case will be bought up in case of a dispute. It should clearly have all terms mentioned in the agreement. The document should include the are to be covered, the stock to be taken on a monthly basis and the commission for the same. All the clauses have to be agreed by both parties before signing off. 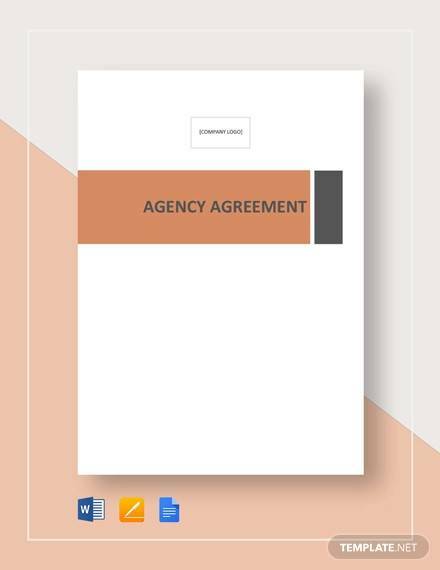 We have the business agency agreement available for download. You may choose the type of agreement you need and all the types are available. 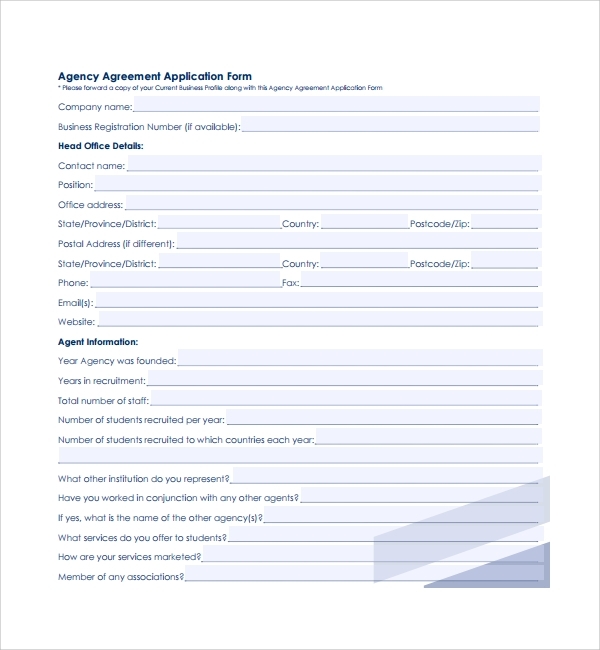 You can customize the same or give us a call and we will customize the agreement for you. You will save time and money if you contact us.